Part of the traditional procurement forester role is to perform what are colloquially known as "tract checks". The purpose of a tract check is to ensure the logger is harvesting the tract he says he is, and to briefly check the logger's compliance with forest management best practices. Unfortunately, as a procurement forester, there really isn't a good way to document that you performed the tract check nor is there a convenient method to report tract checks findings. 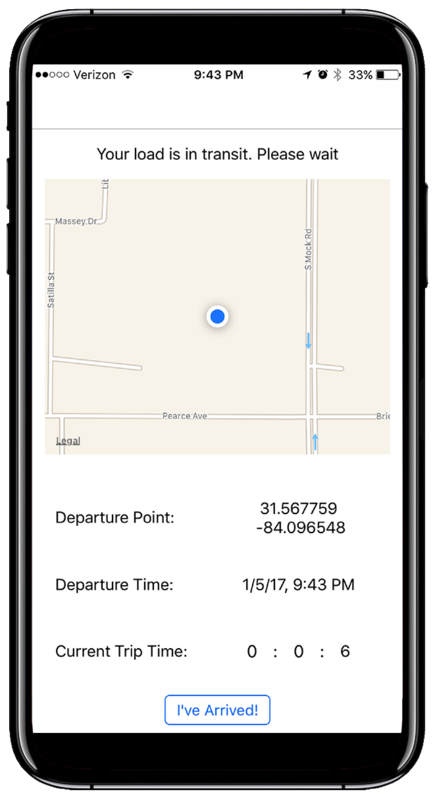 This app was designed to provide a simple, quick means of documenting basic tract check information. 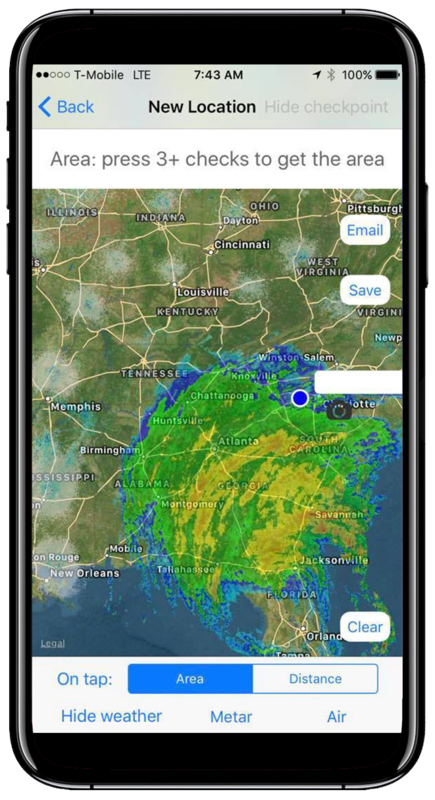 We also included a handy NOAA weather radar overlay and the ability to save tracts and navigate back to them through the app. In addition, all notes, pictures, etc automatically attach to emails with the tract name and GPS coordinates for ease of sharing. This app should have pretty much every tool a procurement forester could want, but if you see something that's missing or would just like a version customized to your company's needs, please contact us. 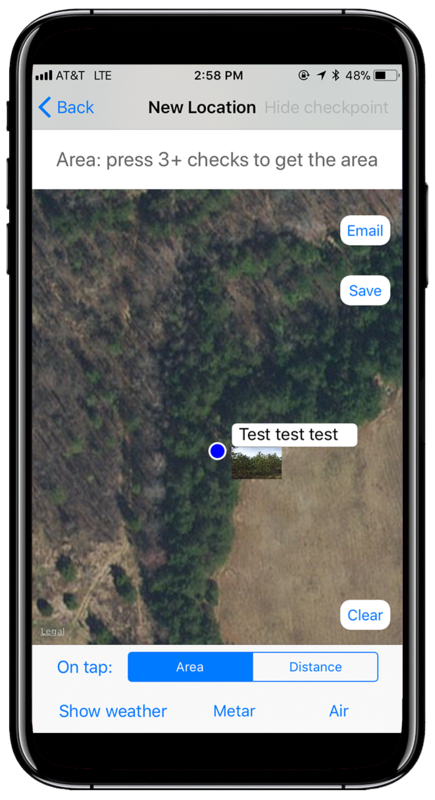 A basic app designed to make it easier to record observations during a forest management compliance audit. 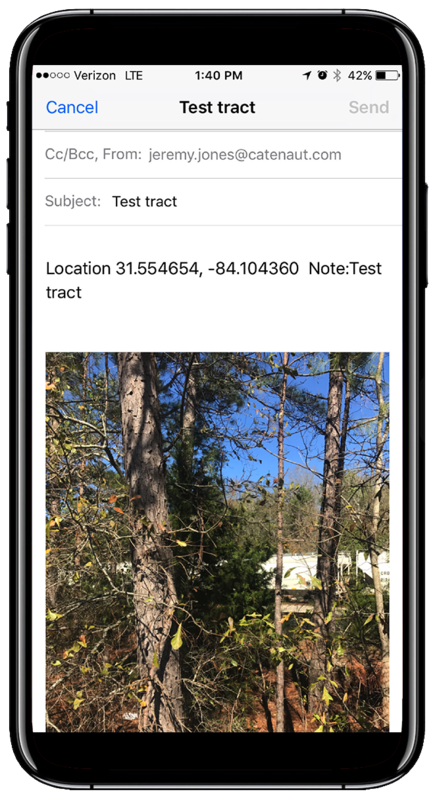 The app enables you to identify the tract and take pictures or write notes that are geo-referenced to the location where the picture or note are taken, and email the entire audit in a PDF file. This app is a very basic compliance auditing tool, but if you would like a more comprehensive version of the app that includes all the necessary checklists, archiving functions, cruise/timber inventory data integration, etc. for a completely paperless compliance program please contact us. Operator location and useful harvest metrics. 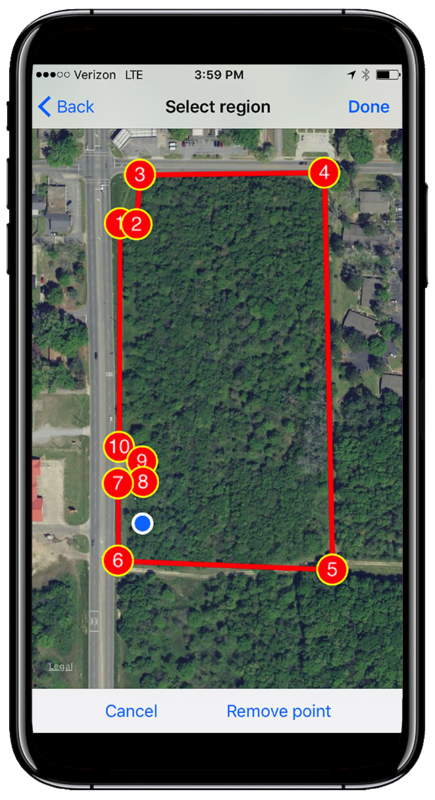 We had requests for something less complex and less expensive than the TimberGuide app that would still show the operator where he is on the tract and provide useful information. 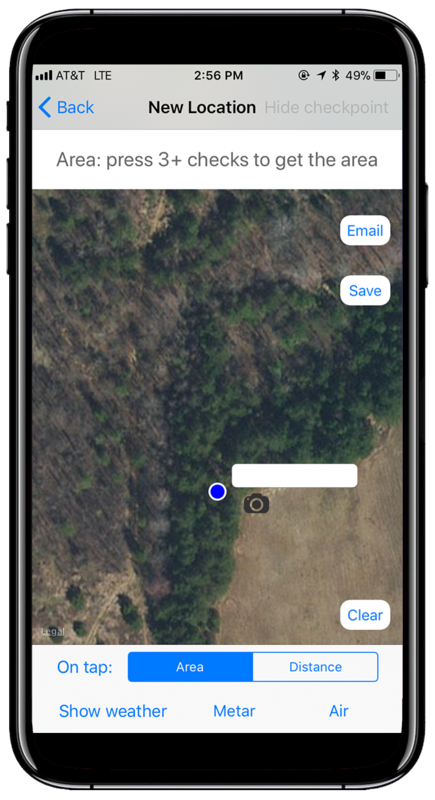 So we made the "iHARVESTEDit" app that will show current location, harvest rate, harvest path, and estimated time to completion. One of the nice things about this app is that its surprisingly accurate. We tested it in the field on all kinds of different jobs and it was spot on. If all you need is "a garmin for the cutter man" then this app will do the job. As always, if you like the concept but need it tailored to your business, please contact us. Basic electronic driver logs for the wood industry. 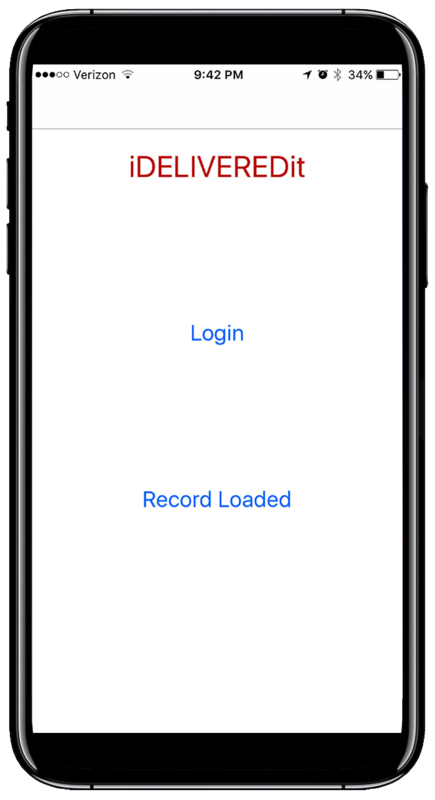 This app allows you to scan a gatepass, loop card, or scale ticket from the mill and automatically combine that information with your trip information to create a complete record of the load you delivered. Useful for verifying load delivery, chain of custody, payment reconciliation, replacing traditional paper tickets from sawmills, etc. The app also saves all information to an excel file for ease of use in database and accounting software. As always, if you like the concept but need it tailored to your business, please contact us - we'd be happy to help. Comprehensive, convenient, safety observation forms - in an app! We made this app to solve one of our own pain points - paper safety observation forms. Every week management would get inundated with little folded up paper safety forms, barely legible, that described the same task or area as last week. This is not what a safety observation program is supposed to be, nor is it the behavior we wanted to encourage. We thought there had to be a better way, so we made this app. 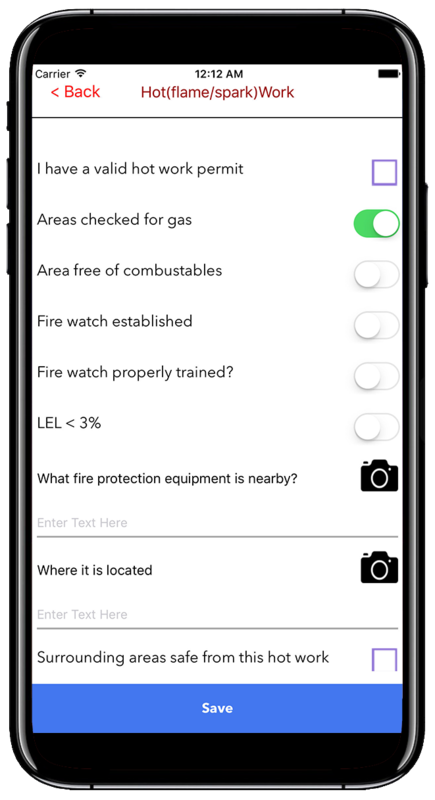 Enabling everyone to carry around a safety observation form all the time, to take pictures instead of just check boxes, to have reminders of critical safety requirements, and to get all the observations automatically emailed to our central server for reporting and search functions. This is what a safety observation program should be, and we're pleased with the results. As always, if you like the concept but need it tailored to your business, please contact us. Electronic bill of lading system - in an app! 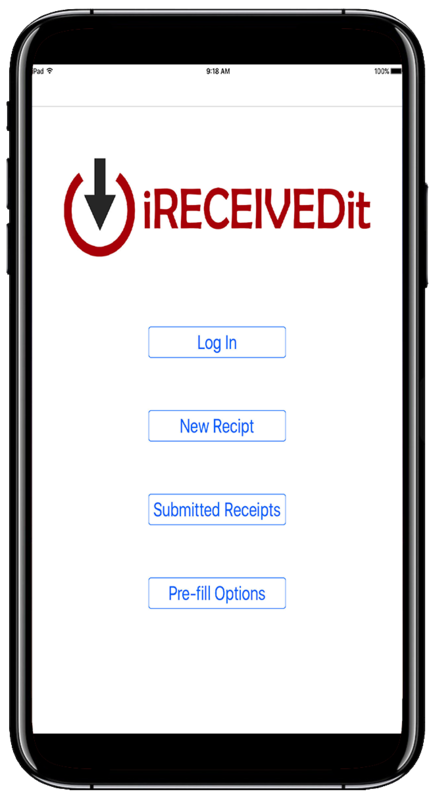 A simple app for use where Bill of Lading systems are not in place or aren't working well. We initially developed this app to help a small specialty paper mill manage the recycling they would send out, but its also found use in helping remote warehouse inventory management. As always, if you like the concept but need it tailored to your business, please contact us. iFloatedit allows you to quickly find out information about the rivers and streams in your surroundings. This app is a kind of different..honestly we made it so we could have a good idea of where to launch a boat after work to get in some fishing before dark, but we figured it might be useful to foresters trying to get an idea of likely ground conditions in an area or how bad the flooding might get. 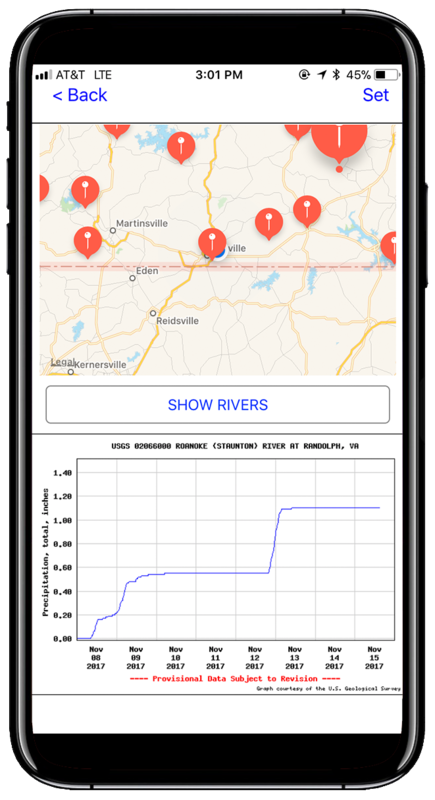 The app is real simple, you just tap "show rivers" and it loads a map of your surroundings with all the named streams and rivers marked by a little red pin. Tap on one of the pins and it fetches whatever data the local USGS station has on that particular river; generally discharge rate or flood stage. If you're operating in a remote area far from home, it's a nice little app to have.